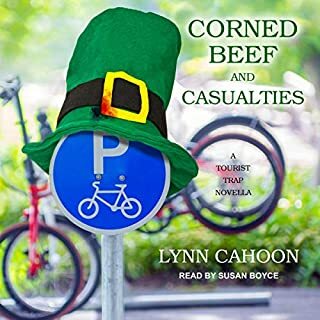 The deliciously delightful first audiobook in the new Seaside Cafe cozy mystery series. Sun, sand, and tea are just three of Everly Swan's favorite things. Her batty, beekeeping great-aunts and small, coastal hometown of Charm, North Carolina, round out the top five. 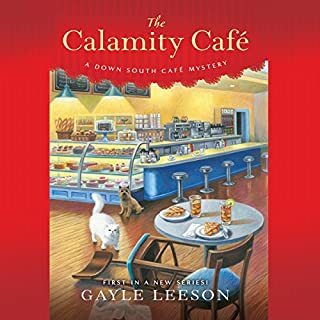 So returning to Charm for a fresh start on her wilting life is an easy decision for Everly, and opening a new seaside cafe and iced-tea shop puts the proverbial icing on her legendary lemon cakes. Everything is just peachy until a body turns up on the boardwalk outside her home and a jar of her proprietary tea is found at the victim's side. 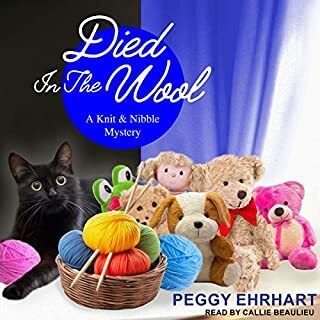 Now, Detective Grady Hays, Charm's newest and most mysterious lawman, has named Everly as his number-one suspect, and Everly's new start is about to go up in smoke unless she can dish up the real killer. Who wouldn't wanna live in Charm, North Carolina? Sweet Tea and warm beaches, and a name like Everly . . . with two quirky great aunts who are beekeepers . . . sounds just about perfect . . . until a body turns up with a jar of your just made specialty tea beside it. Detective Grady Hays makes it his business to investigate. And it seems the victim didn't much like the tea shop or Everly. Or anybody. So who wanted to kill him the MOST? 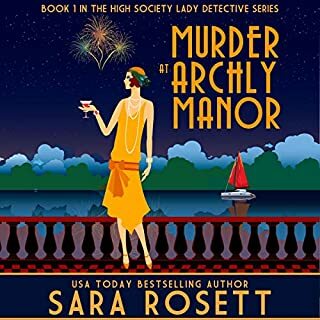 There's quite the mystery surrounding the Swan family in Charm and the aunts aren't totally forthcoming when Everly tries to pry it out of them. Which makes the second in the series a MUST!!! 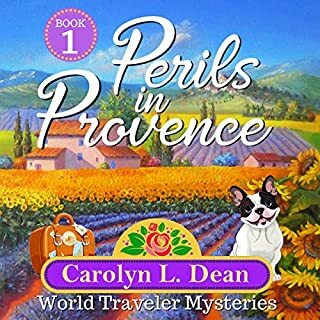 The search for the murderer and Everly's run-ins with Detective Hays are both entertaining and cause for stress. This tale is full of small town goodness, closeness and individuality. Excellent resolution to the crime . . . Can't wait for the next in the series! A light, entertaining, heartwarming kind of story. Listen to it while you're driving or working. The narrator was thick with a southern accent which was like nails on a chalk board. I may try reading the kindle version and reinvent the character voices in my head. The story and the imagery! 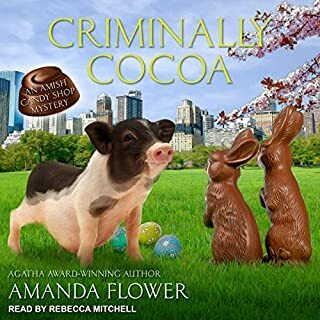 A great audiobook that makes you thirsty and hungry for tea, food, and a warm Carolina island beach! A wonderful story with hidden twists and laughter! A heartbreak, a hot new detective, a stray cat, little libraries filled with sand by hooligans, threats, and murder won’t keep Everly Swan down! The author is amazing at descriptions. I could visualize in my mind the town, her house, the beach, and the little libraries. It was such a good story and Therese Plummer does an excellent job narrating it. Keep writing Bree Baker and I will keep reading! Love this new series! Live and Let Chai isn't very interesting or realistic. I didn't like the lead character and thought she made unwise decisions. I won't get the next one. Entertaining! Can't go wrong with Therese Plummer. Bree Baker and Therese Plummer make a great team. Fun and Entertaining story that moved quickly from one tussle to another. I'll keep my eye on Bree and her projects. Therese Plummer is already one of my favorites, thats how I found Bree. There are so many things to love about this book. Story was great -- good pace and good usage of vocabulary. I only annoyed that she kept saying the name of her tea shop all the time. Narrated fits the story perfectly... she was able to do the voices of each character perfectly. 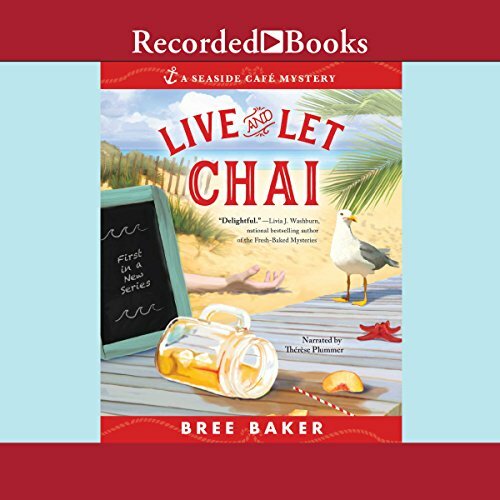 I am looking forward to the next book from Bree Baker. I'm not sure why this book got such good reviews. The lead character has poor judgement and makes stupid decisions. I couldn't finish this book. EVERLY, GRADY, AND ALL OF CHARMED ARE GREAT. THIS LITTLE COZY EVEN KEPT ME GUESSING THROUGH MOST OF THE BOOK. PLEASE KEEP THESE COMING. I CANNOT WAIT TO GET TO KNOW THESE CHARACTERS BETTER. I MUST ALSO GIVE CREDIT TO THE READER. THE BEST BOOKS CAN BECOME ANNOYING WITH A POOR READER. THIS WAS A SUPERB PERFORMANCE.